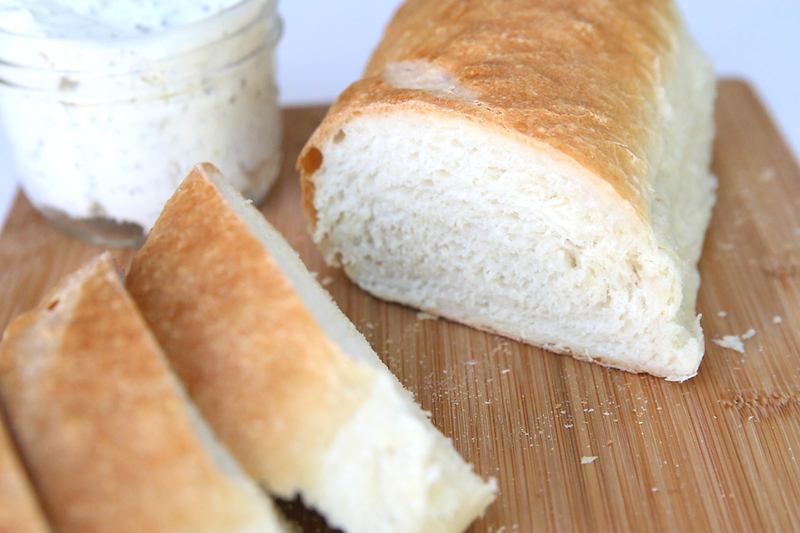 Almost 5 years ago I post a homemade french bread recipe, and it’s been one of the most popular posts on my blog ever since. So many people are excited about the fact that you can make incredible french bread at home that tastes way better than the loaves you buy at the store. 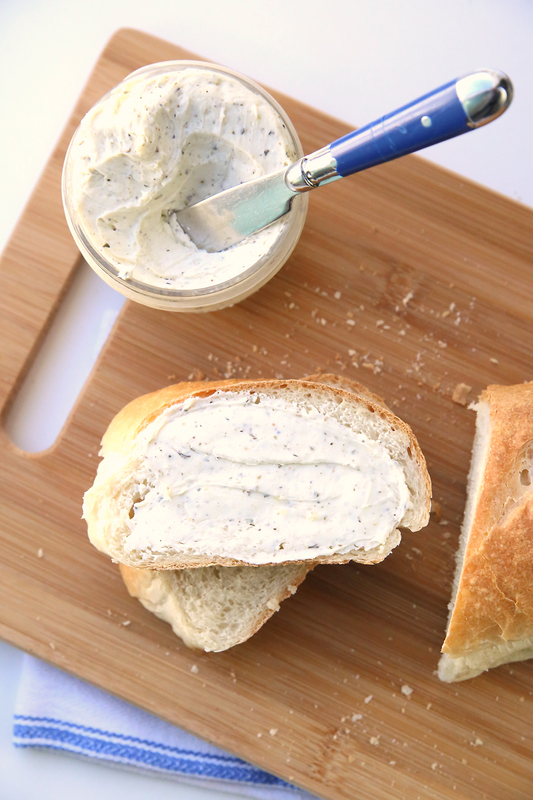 It’s easy, it’s cheap, and I always serve it with a garlic butter (boursin) spread that absolutely takes it over the top. 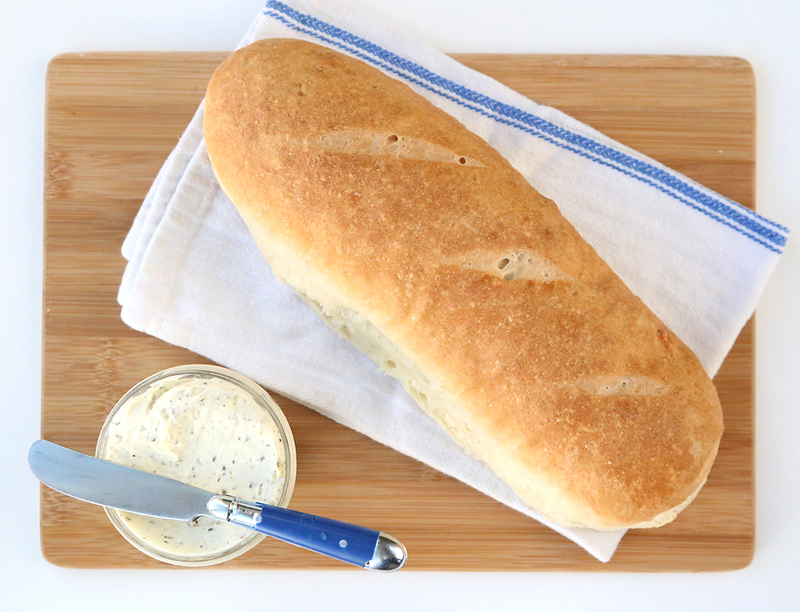 I decided it was time to update that old post with new photos, a new printable recipe card, and a new step-by-step video so even more of you can try your hand at making amazing homemade french bread. I first tried this bread when my friend Cathy delivered a hot loaf to me one Christmas Eve. Seriously, she won the best neighbor gift award that year. Since then I’ve made these loaves a kajillion times, both to deliver and to keep. 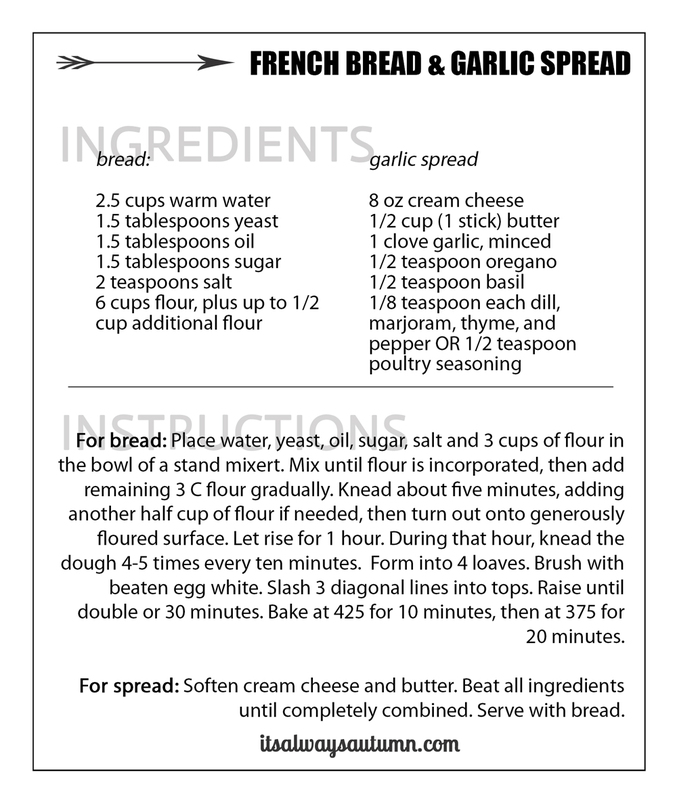 This recipe makes 2 large or 4 medium loaves, so I usually keep a few to eat and give a few away each time I make them. I’ve even doubled the recipe to make 8 medium loaves at a time so I can deliver to lots of neighbors at once! 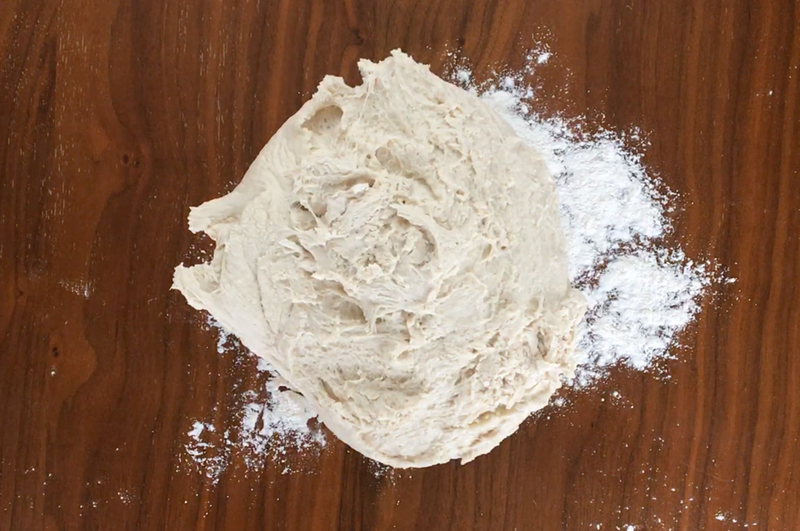 It can be hard to know just how much flour to add when you’re making bread. I use the scoop and level method to measure my flour, and 6 cups is often plenty, but occasionally I need to add up to 1/2 cup additional flour. You don’t need to dough to completely pull away from the sides/bottom of the mixing bowl. 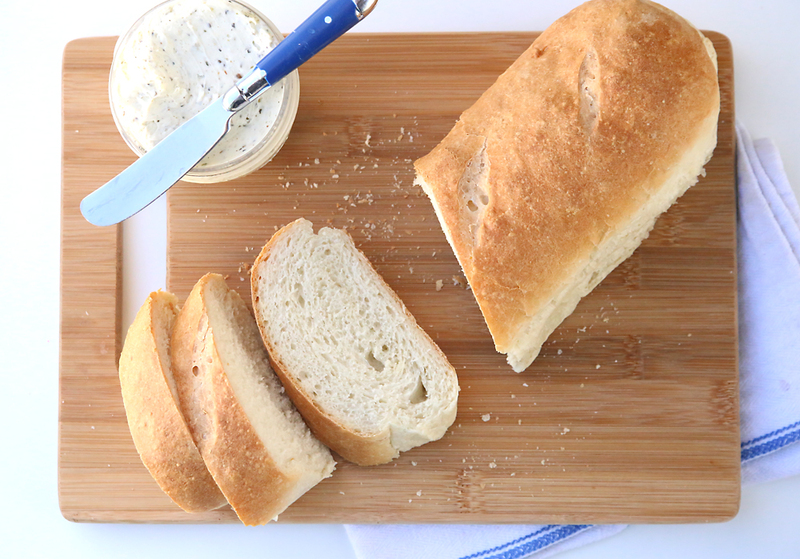 This bread is incredibly tender, which means the dough is soft and a bit sticky. You’ll see in the picture below that much of the dough is hanging onto my dough hook, but some is still stuck to the sides and bottom of the bowl. 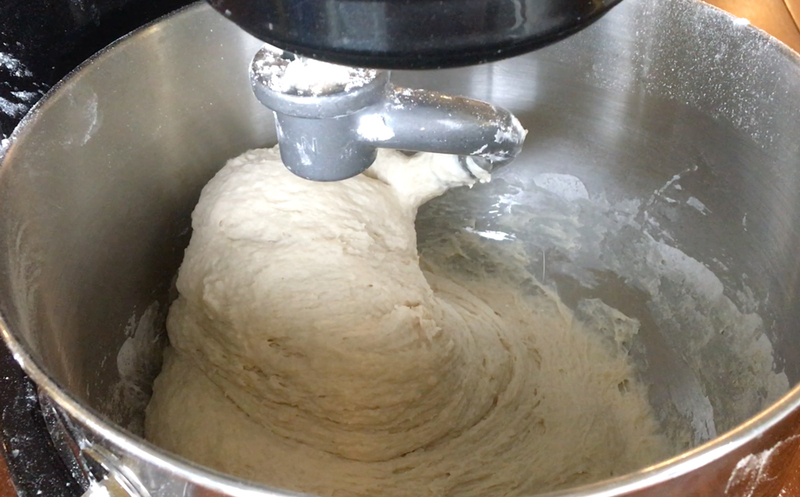 When you’ve hit an hour, divide the dough into four even pieces. Push each piece into a rough rectangle shape, then roll it up and pinch it so it stays together. Place it pinched side down on a greased or lined cookie sheet. Then beat one egg white with a dash of water and brush the egg mixture over the loaf (or just use your hands to spread it over the loaf like I do if you don’t have a pastry brush). Get it all covered – anything not covered with the egg mixture will end up pale and sickly looking. Then slash through each loaf three times. You’ll want to let it cool for about 10 minutes before slicing so you don’t squish it. Then spread it with the herbed garlic butter and enjoy! 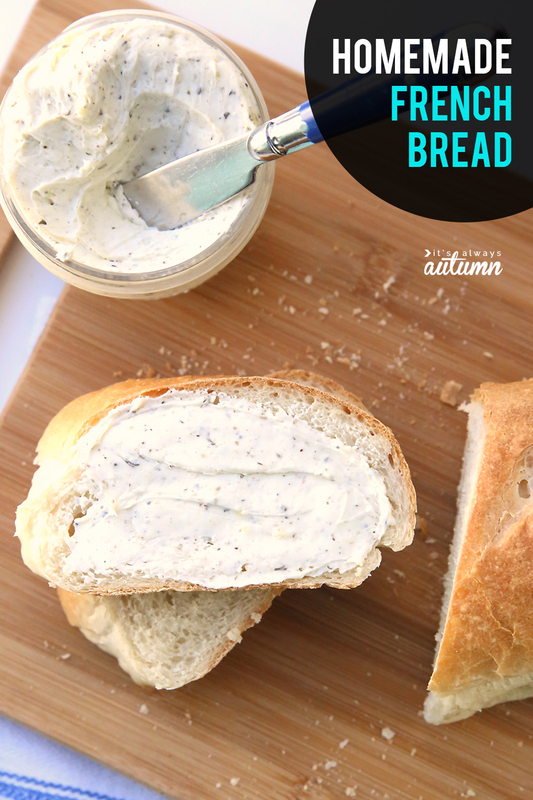 This is one of my favorite recipes…along with the daisy braid bread. Most used, and yummiest! Thank you so much for sharing it all those years ago. I just made this to go with tonight’s dinner. Tried a slice warm and could have eaten the entire loaf in one sitting! It is so yummy & easy! So excited to have this recipe. I was honestly afraid of yeast. Figured my breads would fail. Can’t wait to make again! 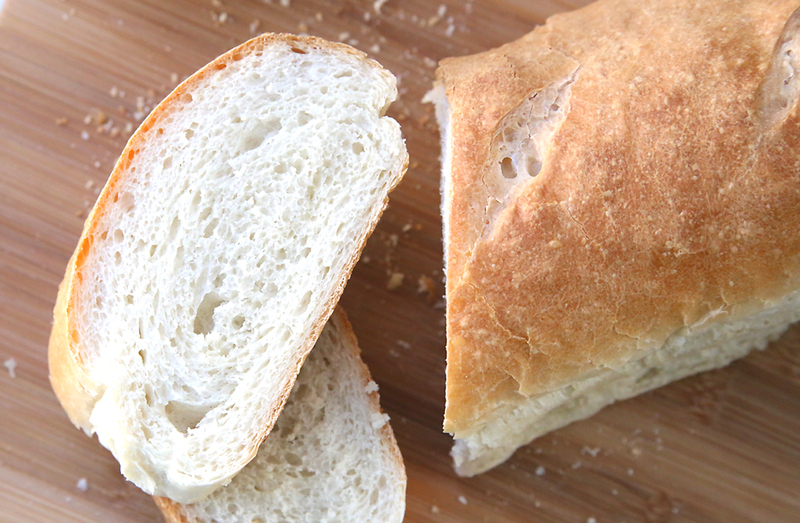 Which kind of flour is used for your French bread recipe? I have both your flours in my pantry. If I don’t have a stand mixer, how long do I knead by hand? Hi Joe! I’m so sorry for the confusion. In the old post I used abbreviations: capital T for tablespoon and lowercase t for teaspoon. That was confusing for some people, so when I updated the post I wrote the words out to clear things up. I’m sorry it wasn’t clearer, I know that’s frustrating. If you used 1 and a half teaspoons instead of tablespoons it might still turn out if you give it extra time rising! Sorry again and I hope it works out better next time. Thanks for visiting. This is in the oven now. I made the spread already. I’m amazed at how well this came together with basically a single rise and no real hand-kneading. 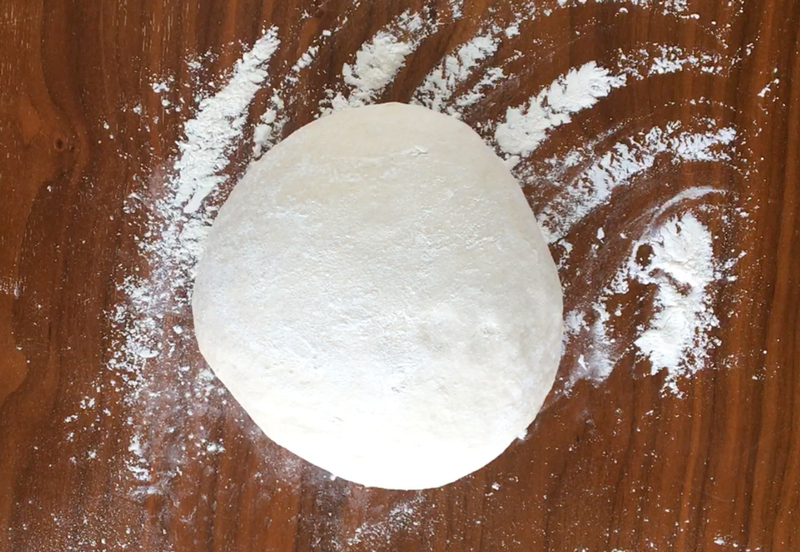 It’s a beautiful dough that rose perfectly. My 7 yr old came out saying “Ooooh! What’s that smell?”. Nothing beats the smell of fresh bread in the oven. Really.